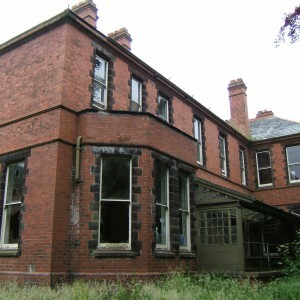 A third pauper lunatic asylum for Staffordshire had been planned as early as 1892 when the site at Bank Farm, Cheddleton was chosen for its development. 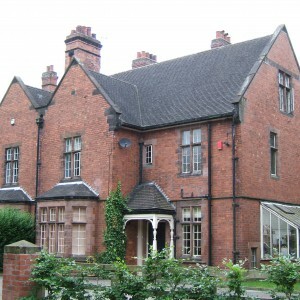 The existing county asylum at Stafford and Burntwood had expanded to accommodate swelling numbers as the area became more industrialised, but had to acknowledge that a further institution to serve the developing northern belt. 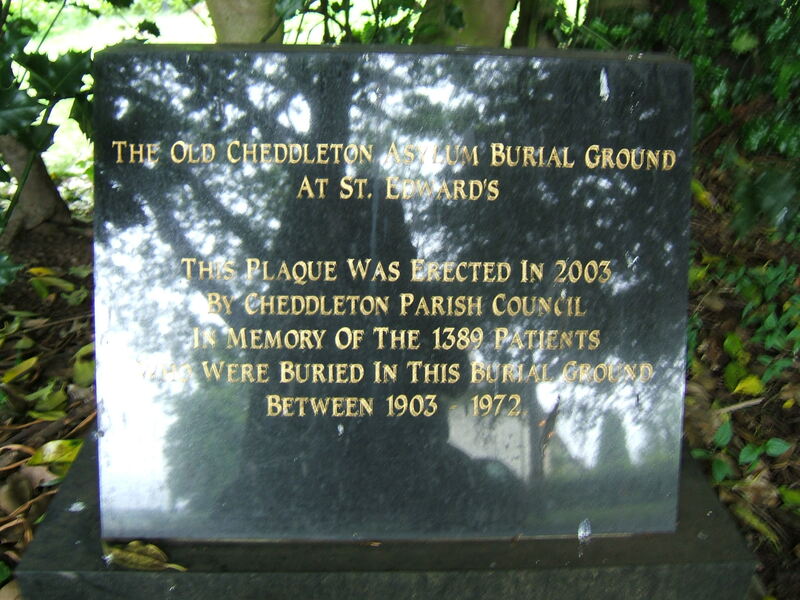 The Cheddleton site was convenient for the town of Leek and within reasonable distance of Newcastle under Lyme , Stoke on Trent and the Pottery towns of Longton, Fenton, Hanley, Burslem and Tunstall where the Ceramics Industry had taken hold. 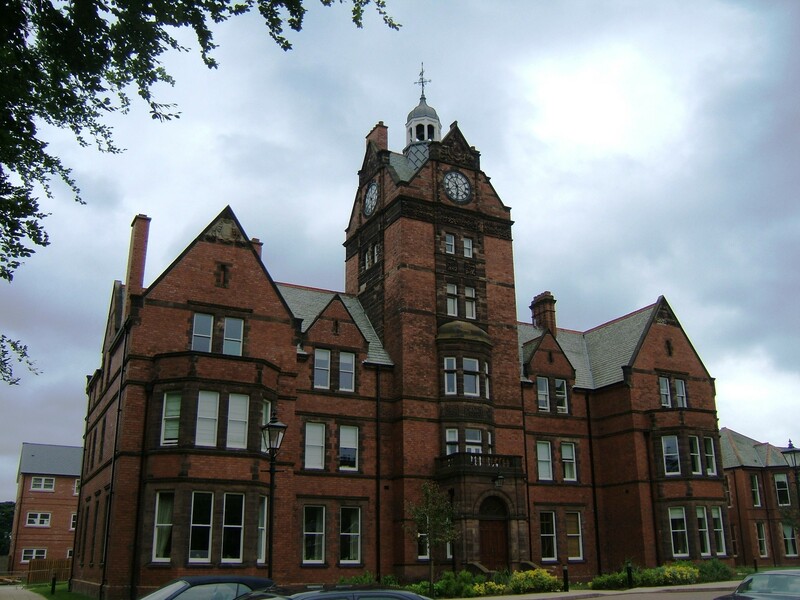 A competition was held to choose a design for the new asylum and the practice of John Giles, Gough and Trollope received the winning premium. 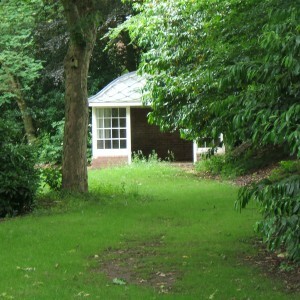 The plan followed the compact arrow or echelon layout becoming popular in asylum design at this time after the success of the Claybury Asylum for the London County Council. 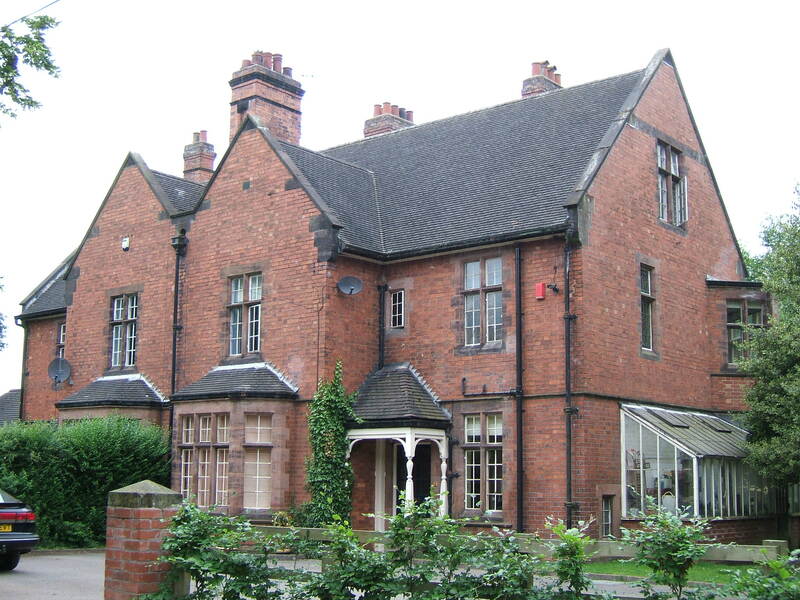 The Right Honorable Lord Wrottesley, Chairman of the County Lunacy Committee, laid the new institution’s foundation stone on 31st October 1895. 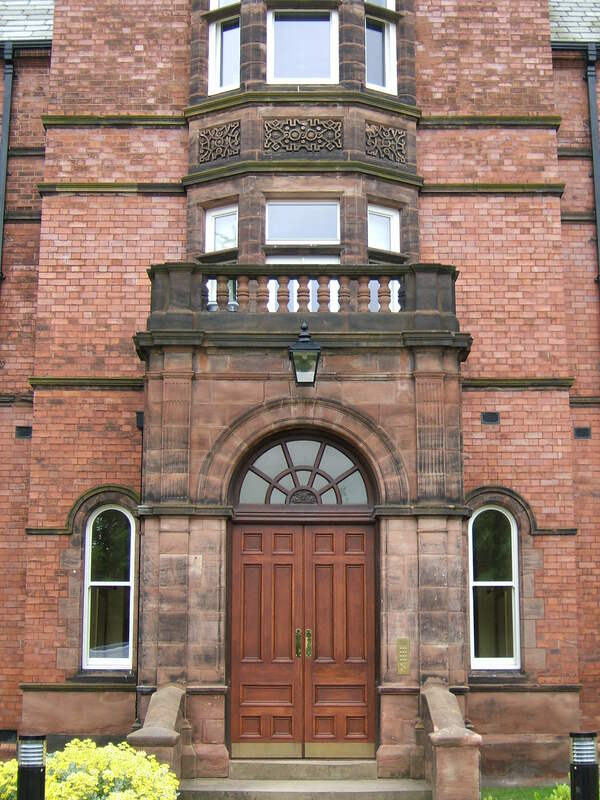 Giles, Gough and Trollope’s practice had developed since the 1860’s, initially as Giles and Biven and long been successful in obtaining commissions for institutional designs. 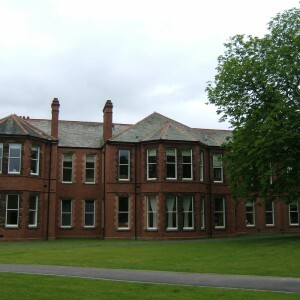 The imbecile asylums at Caterham and Leavesden for the Metropolitan Asylums Board had been the first significant asylum projects, soon followed by the East Kent Asylum at Chartham. 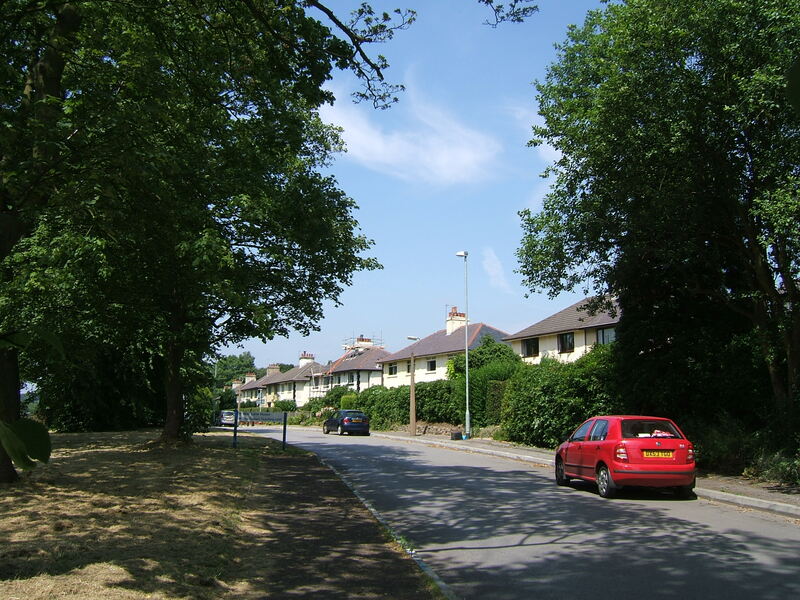 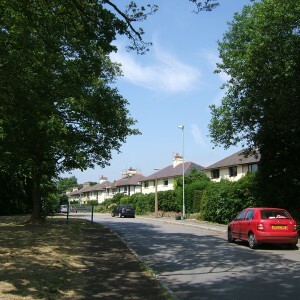 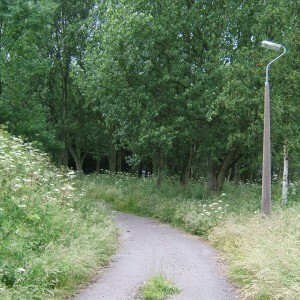 Their planned development at Coney Hill, Gloucester had been developed as a broad arrow plan layout, although incomplete, which was itself a forerunner of the hugely successful Compact Arrow plan developed for Claybury. 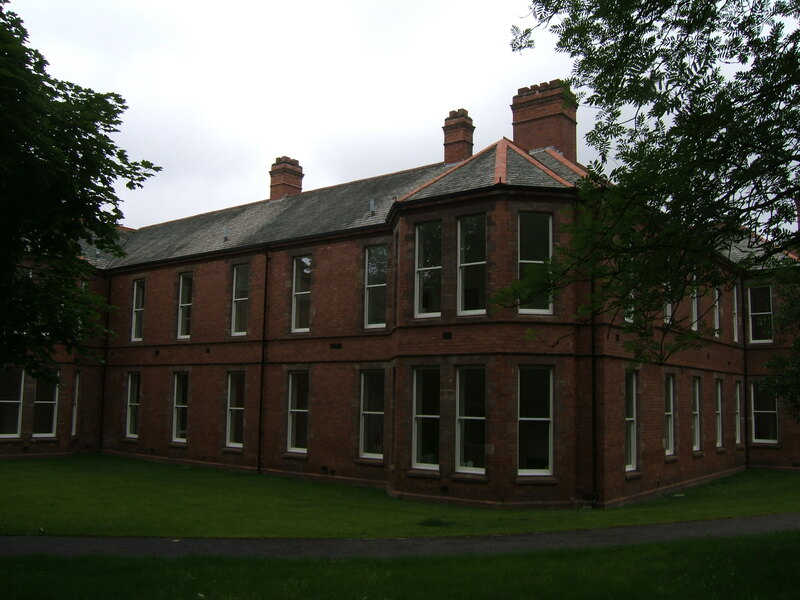 Simultaneously with building the Cheddleton Asylum, the architectural practice was also developing the Cotford Asylum for Somerset, with a close resemblance noticeable between each site’s administrative block resulting, although different materials were used at each site. 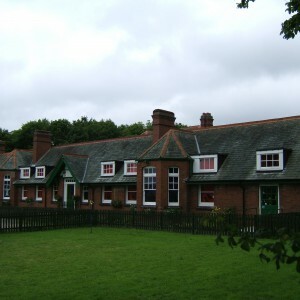 Giles and Biven and later Giles, Gough and Trollope had also been very successful for other types of pauper establishments and had become experienced in the design of Poor Law Workhouses and Infirmaries, the most significant of which included the St. Pancras Industrial School near Leavesden, Central London Sick asylum at Colindale, the North Evington Workhouse Infirmary in Leicester and the Chelsea Infirmary amongst others. 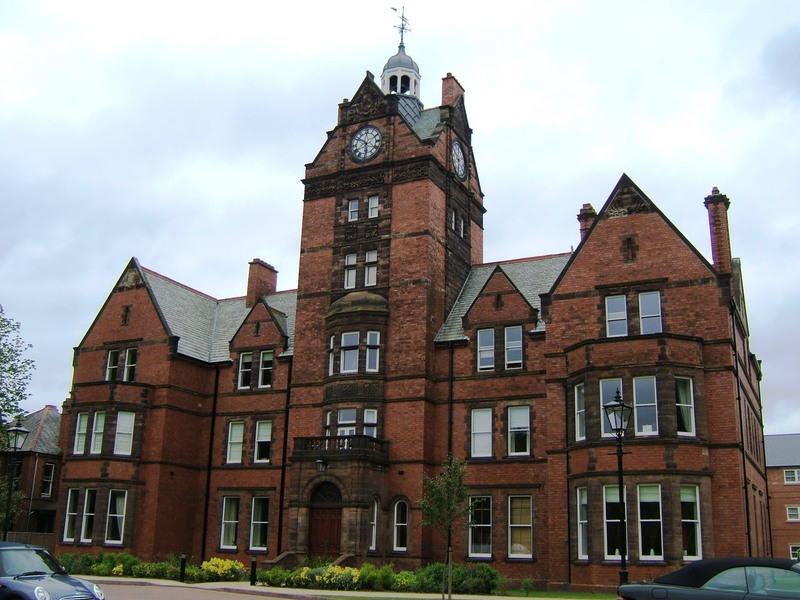 The design for the Cheddleton asylum saw the building approached from a sweeping drive accessed from the south, with the administrative block forming the central focus of the main south façade with individual ward blocks radiating out to either side. 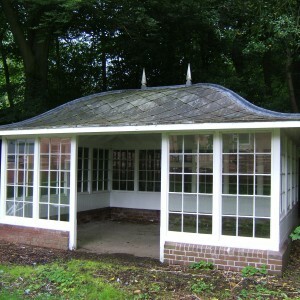 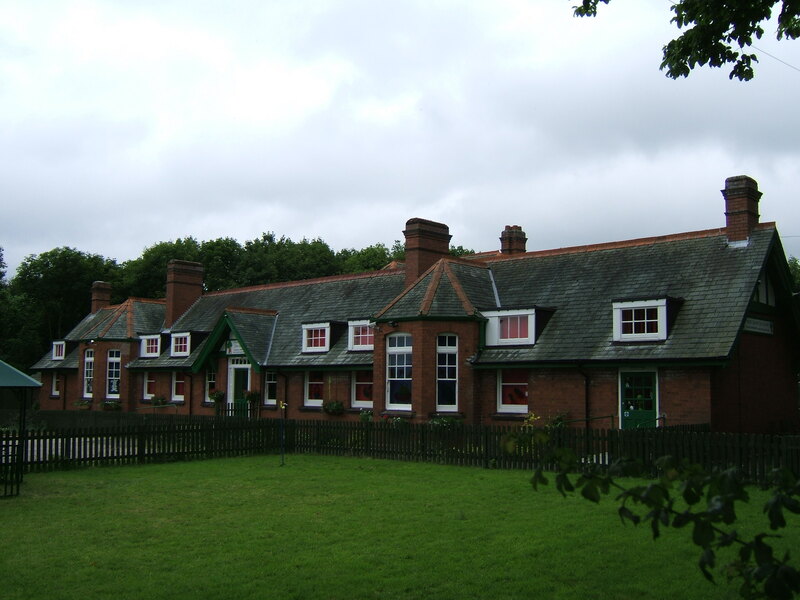 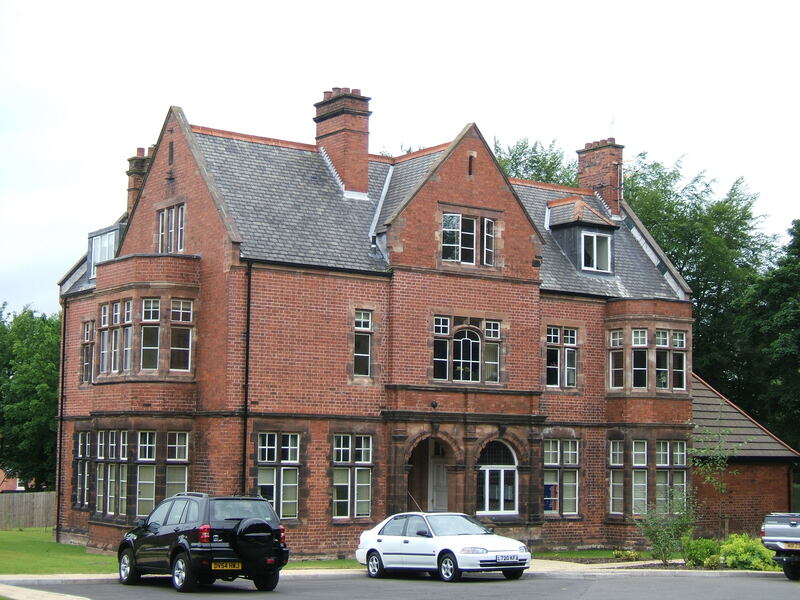 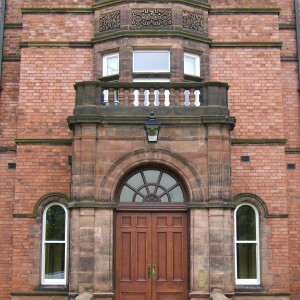 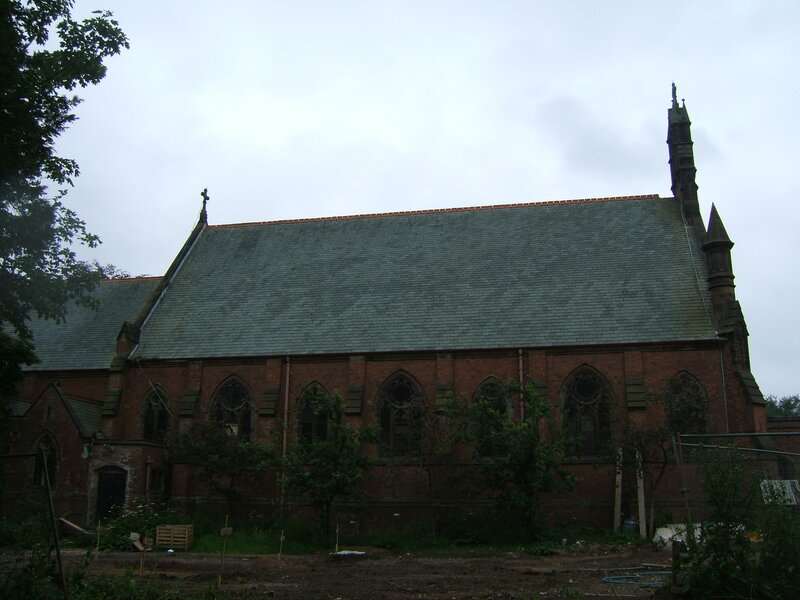 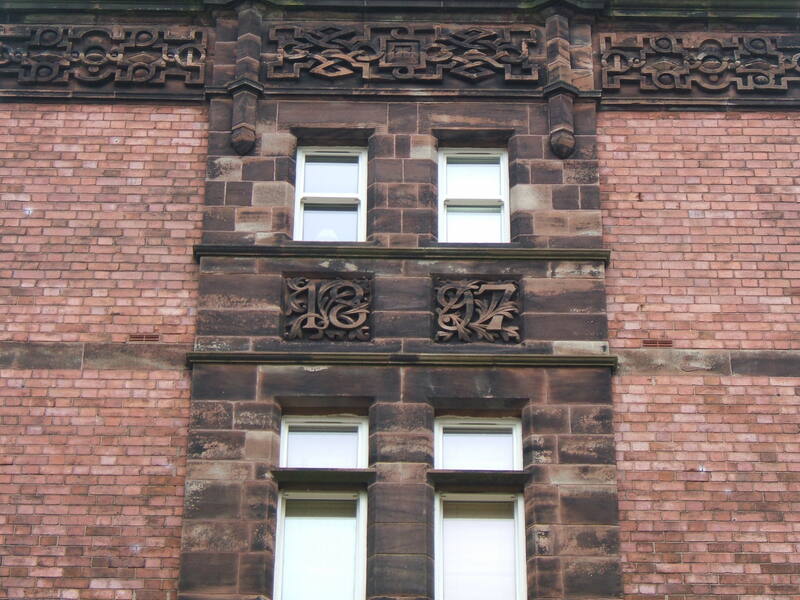 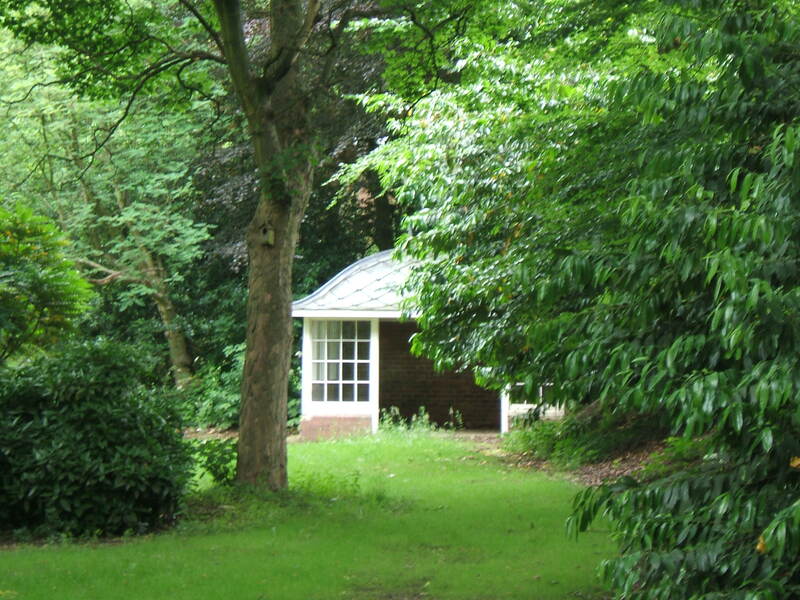 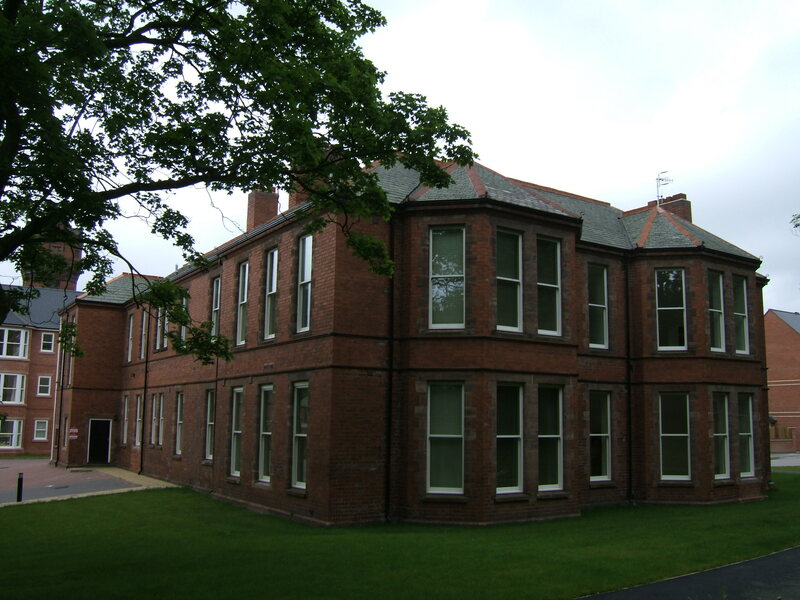 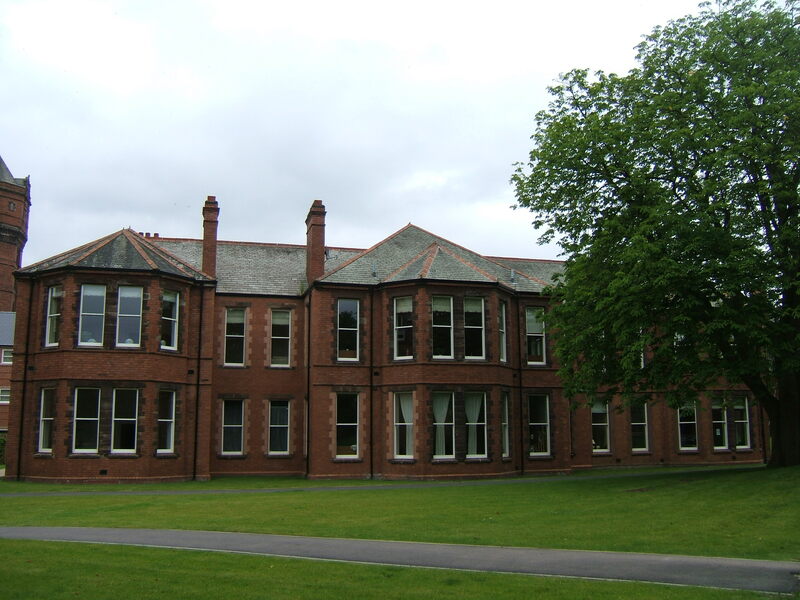 The structure was completed in red brick with stone mullions and welsh slate roofing. 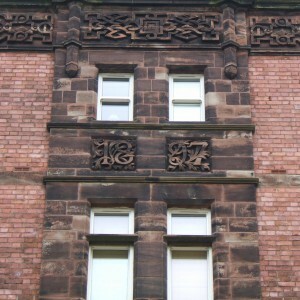 Above the main entrance stood an imposing clock tower, also featuring the date ‘1897’ amongst it’s decorative stone dressing. 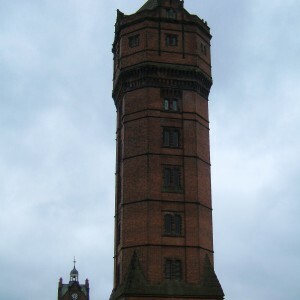 The tower was topped with a bell cupola and weather vane. 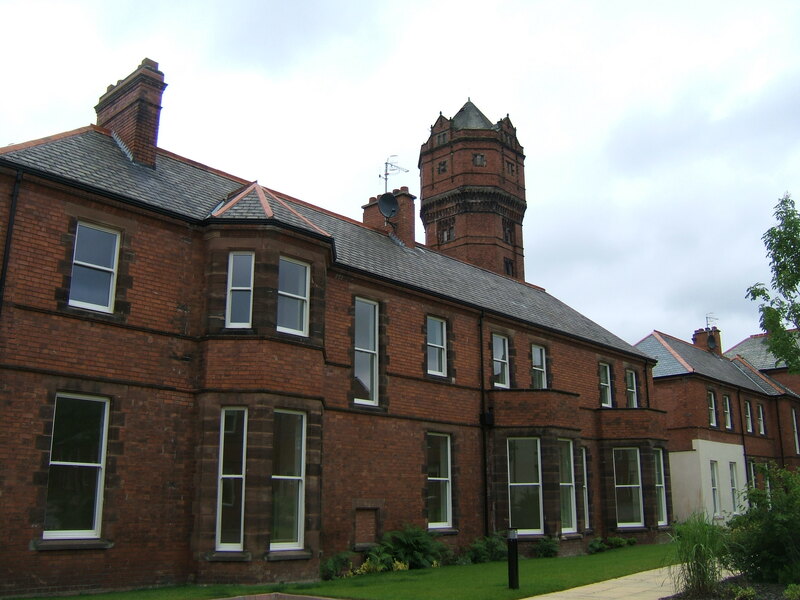 Each ward block was designed for a particular management class of inmate with internal arrangements varying from building to building, with capacity for up to 600 in total. 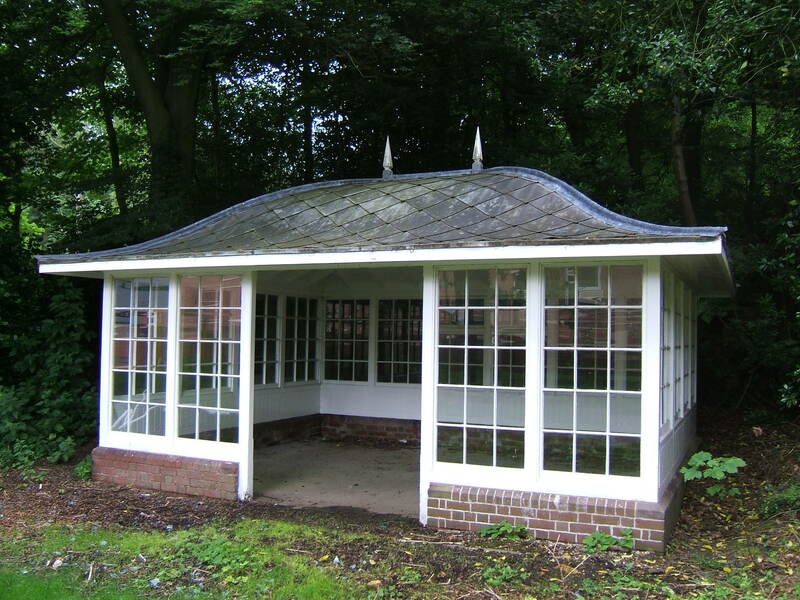 Each of the blocks gave access into a secure garden area or airing court where inmates could exercise in the open and shelters were provided against the weather. 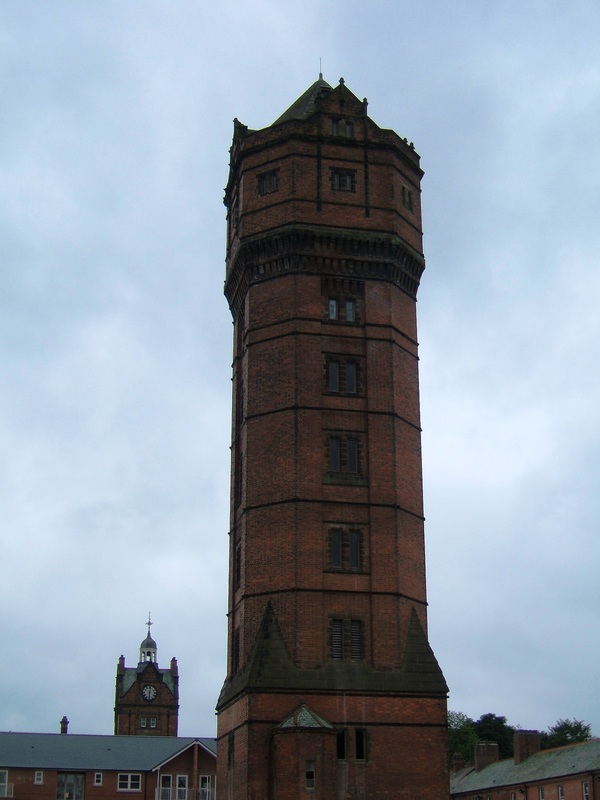 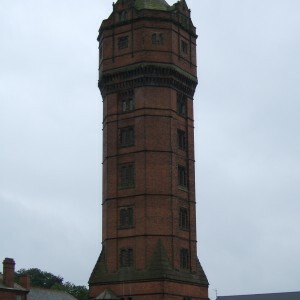 The main focal point of the asylum apart from the clock tower on the administration block was the 135ft water tower, with its unusual octagonal plan. 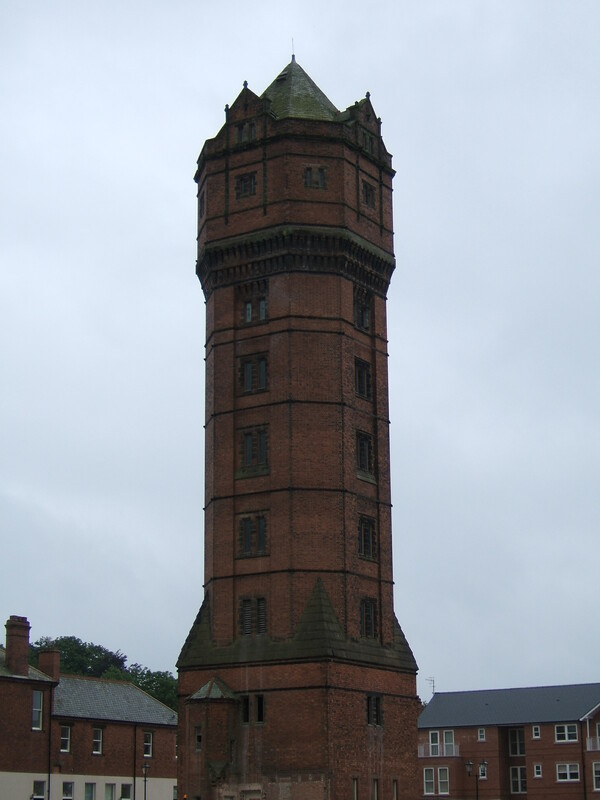 Supplying its tanks, a well was sunk down 100ft into the ground below. 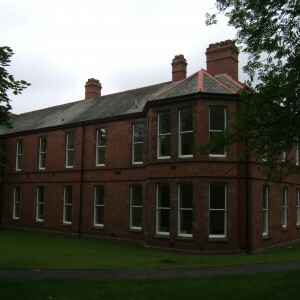 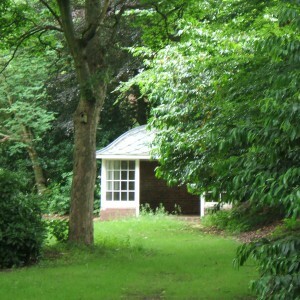 To the rear of the complex was located the asylum’s church and mortuary adjacent, with a road of cottages, Villa Road, also provided for married attendants and senior staff. 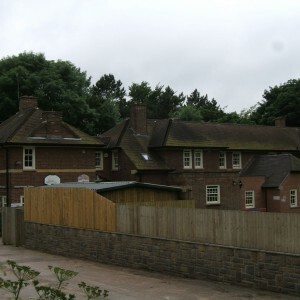 The superintendent resided in a detached residence adjacent to the male wards, sufficiently close to be able to be at hand should the need arise whilst at enough of a distance to avoid regular disturbance. 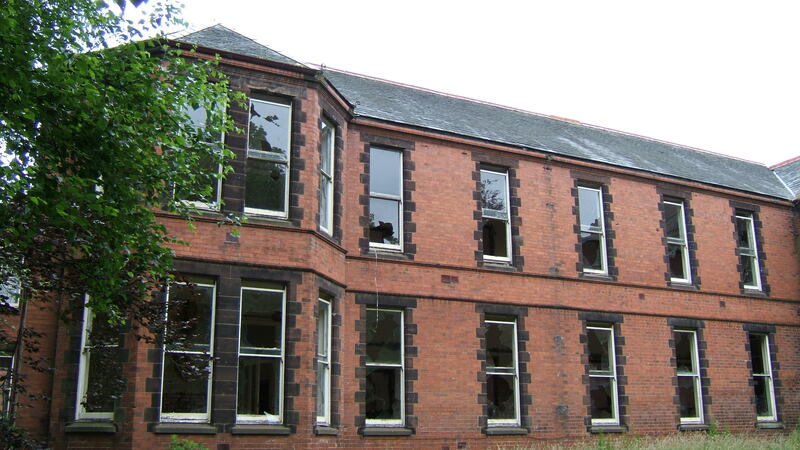 Unmarried staff initially resided in rooms throughout the asylums’ wards and service areas. 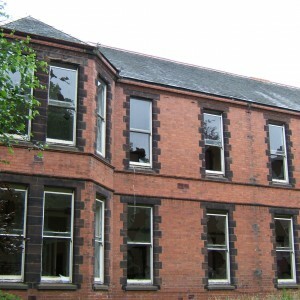 Disaster struck the asylum some time before opening, with a fire consuming the partially completed recreation hall on 2nd July 1897. 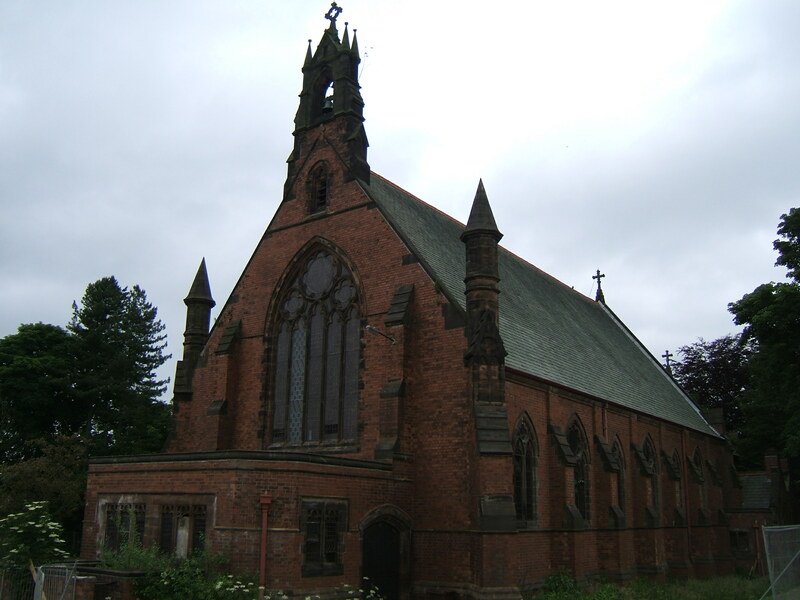 Although the Hall had to be completely rebuilt, the flames were kept back from other structures. 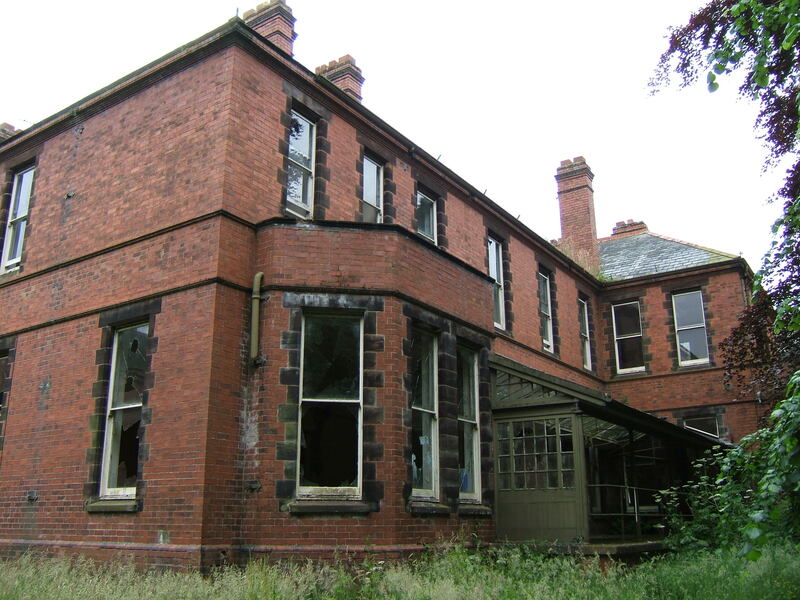 The third Staffordshire County Asylum at Cheddleton opened to its’ first patients in August 1899, receiving those already boarded out at other Counties’ institutions to avoid incurring further costs. 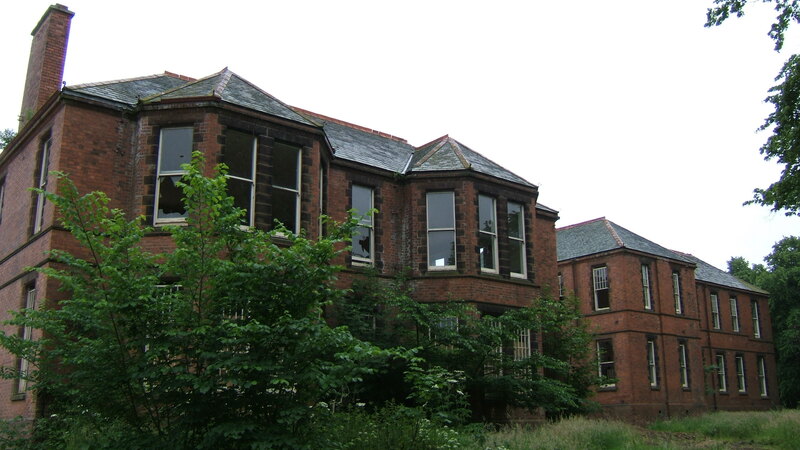 The asylum soon became full enough to put into place plans for a further extension envisaged in the original plan for an additional 200 inmates, soon revised and expanded for capacity for 400 instead. 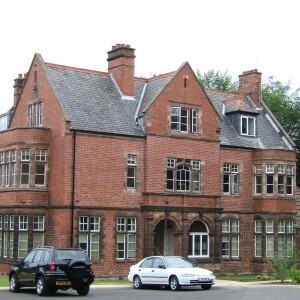 The new extensions were developed between 1904 and 1908. 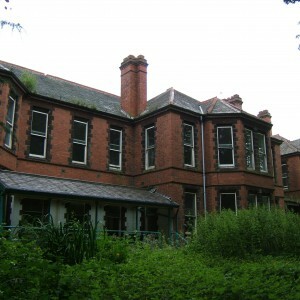 An isolation hospital giving space for 12 inmates with infectious diseases was also provided, later known as Garden Villa. 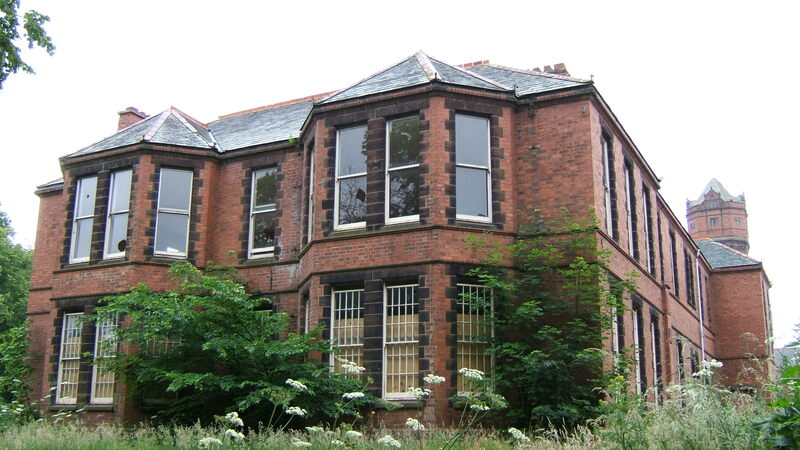 The improvement of conditions for female nurses was also considered, with the aim to attract and retain suitable staff and a Nurse’s residence was constructed adjacent to Villa Road and built between 1912 and 1920. 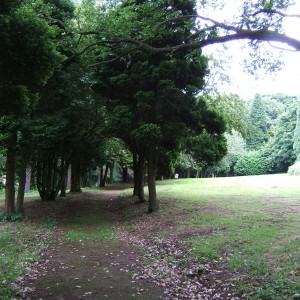 Those who died within the asylum and remained unclaimed by family were interred from 1903 within a small burial ground east of the main driveway. 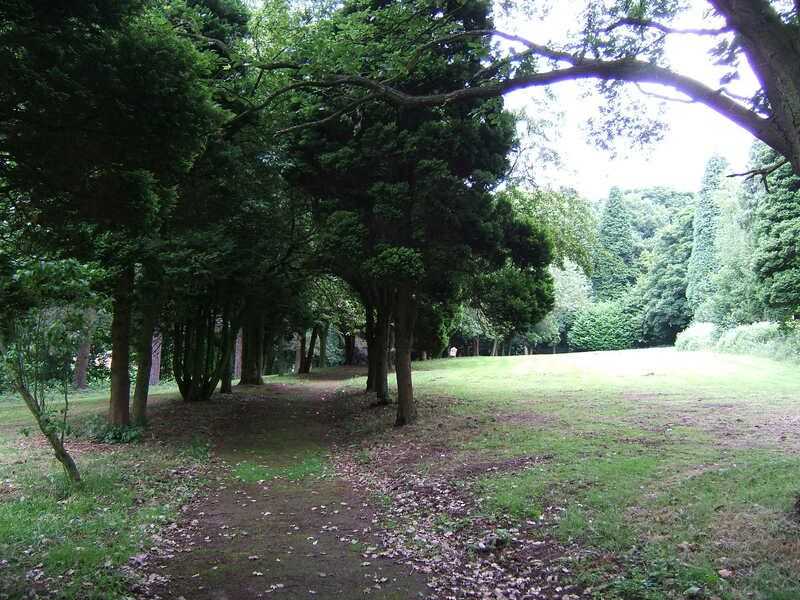 By the time of the last interment in 1972 the total number buried had almost reached 1,400 persons. 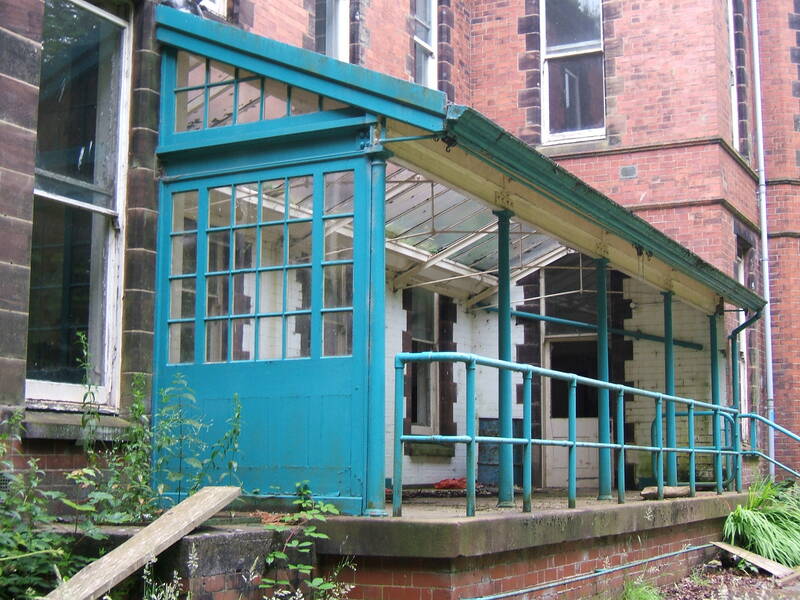 The asylum had also developed access by means of an electric tramway enabling goods and passengers to arrive right into the asylum complex. 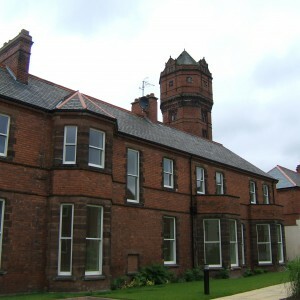 For this purpose the building contractor’s line had been purchased and subsequently re-laid to give rail access directly to the boiler house, steward’s stores. 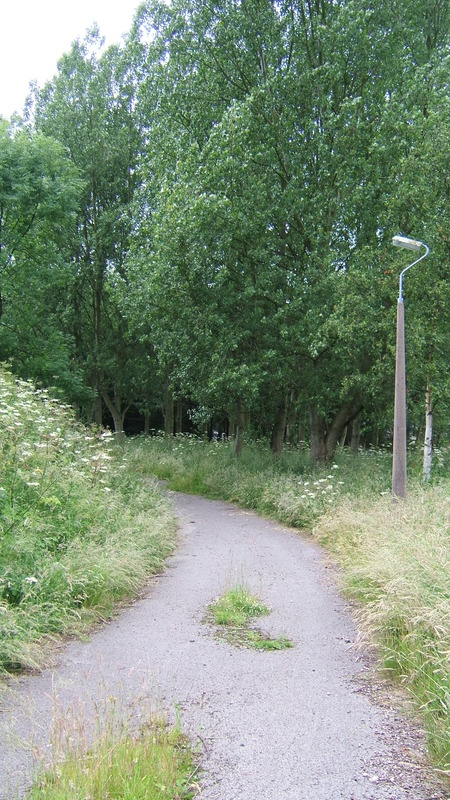 The line extended to Leekbrook Junction, a basic platform facility on the Churnet Valley Line of the North Staffordshire Railway where visitors and staff could transfer onto the tramway. 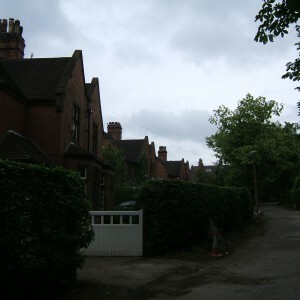 The Great War had led to the inclusion of the Staffordshire Asylums into a plan to use civilian asylums for receiving military casualties, forming part of Group 4 with other neighbouring counties of the West Midlands and beyond. 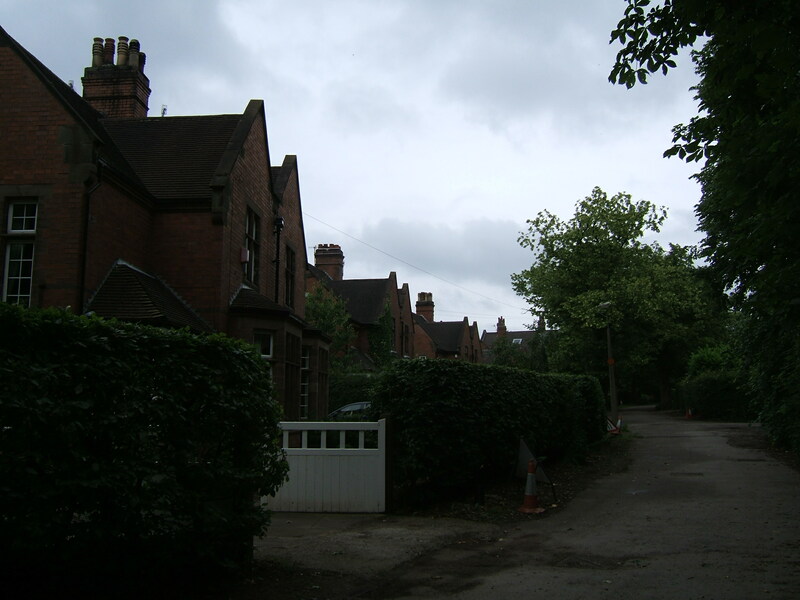 Cheddleton’s role was to receive 200 displaced inmates from the Birmingham Asylums, which had been vacated. 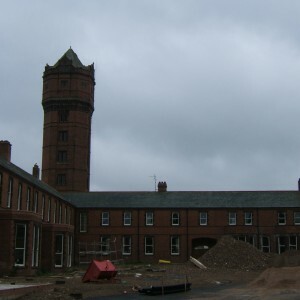 Other Inmates later followed from Oxfordshire and Northamptonshire, when these asylums were also turned over to the military. 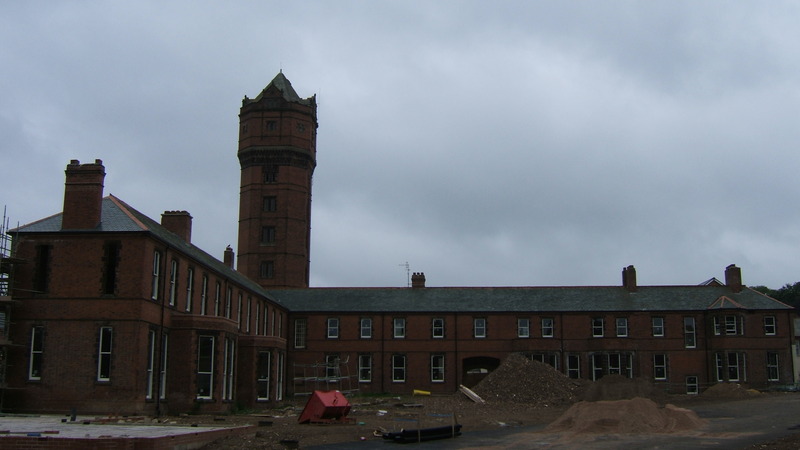 All the displaced inmates subsequently return to their originating asylums once handed back by the military. 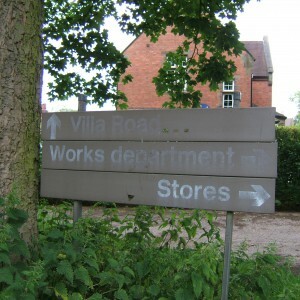 The interwar period saw Staffordshire revise the naming of their institutions, following a national trend to abolish the term asylum. 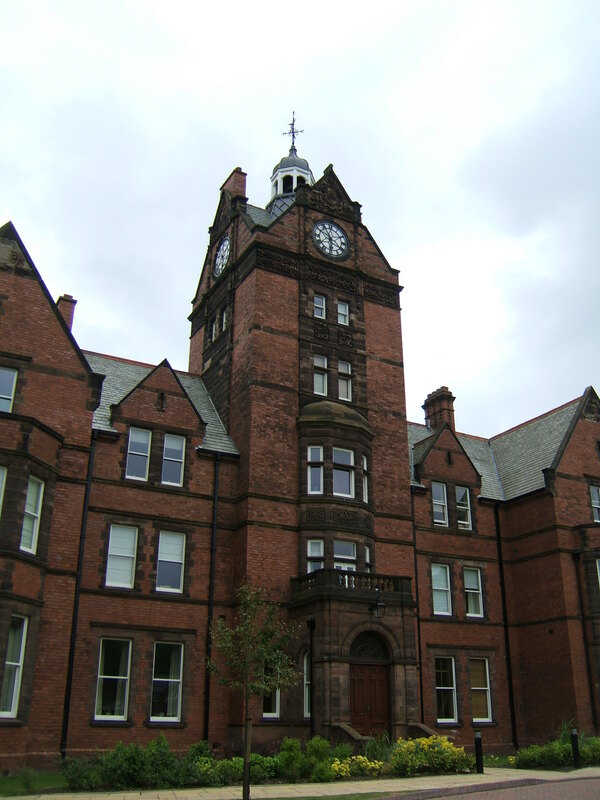 In common with its’ neighbours at Stafford and Burntwood, the asylum became the Cheddleton Mental Hospital, or officially the ‘Staffordshire County Mental Hospital, Cheddleton’. 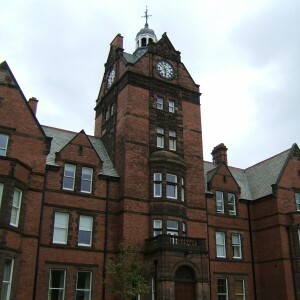 The period also saw the creation of the Staffordshire Asylums Board, soon renamed the Mental Hospitals Board which took over direct management of each of the asylums from the County Council. 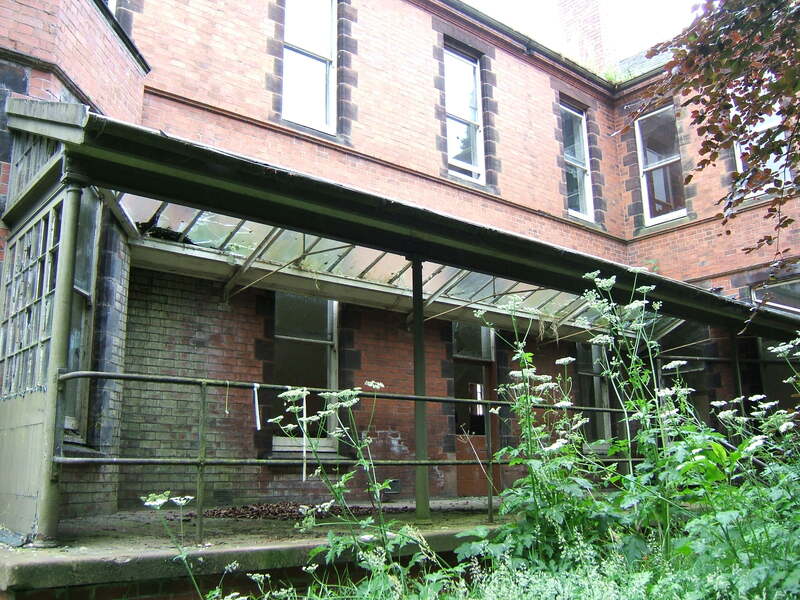 Plans to expand the hospital again appeared in the 1936 with a scheme for a new admissions hospital, a pair of convalescent villas and occupational therapy pavilions. 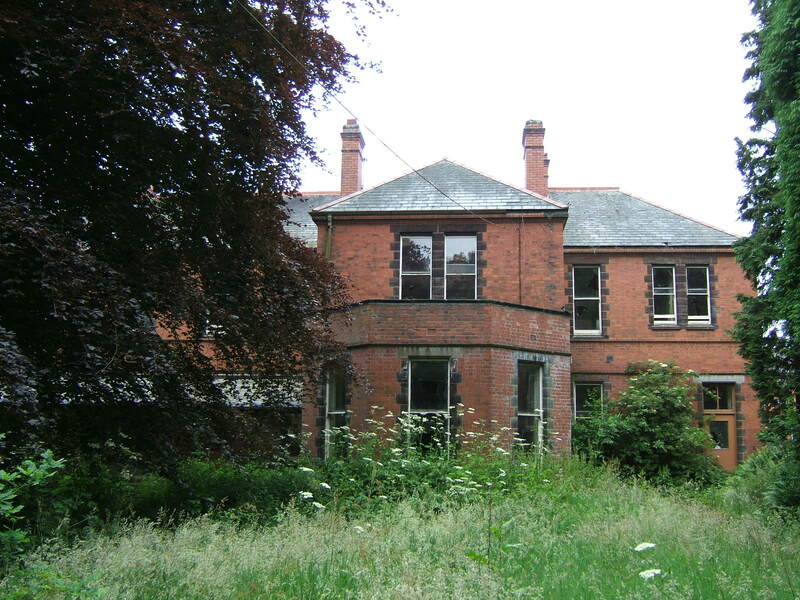 Patients had once again been boarded out of Staffordshire into capacity purchased at other mental hospitals. 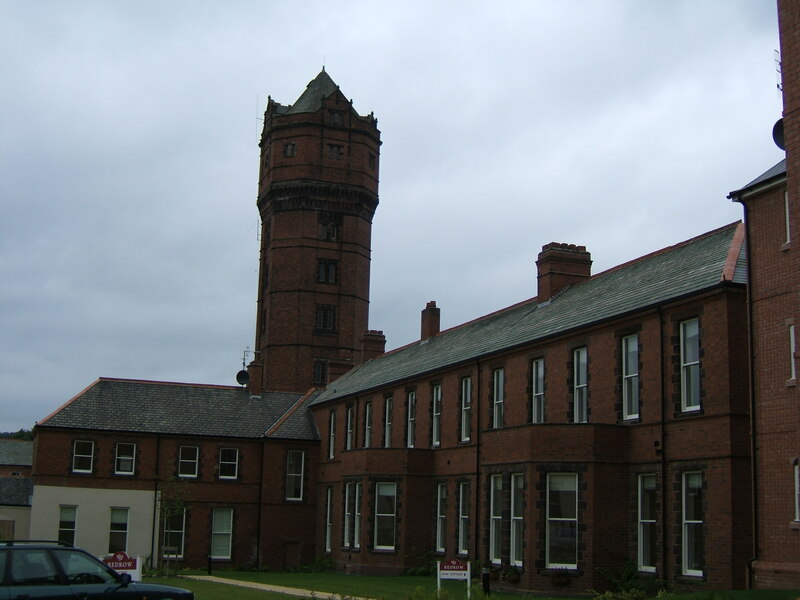 The Second World War however intervened, with the new complex passed over to the Emergency Medical Service scheme to deal with casualties and not utilised for its intended purpose until peace had returned. 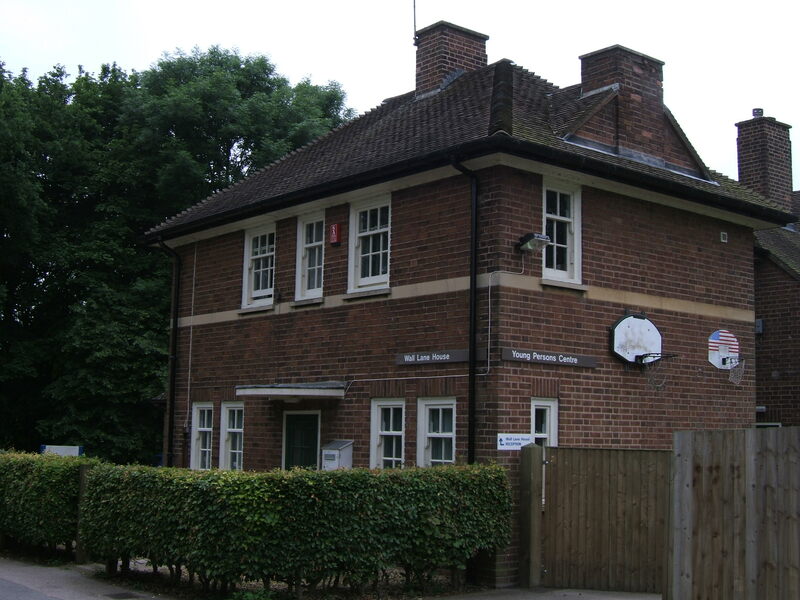 The creation of the National Health Service in 1948 brought a further change of name. 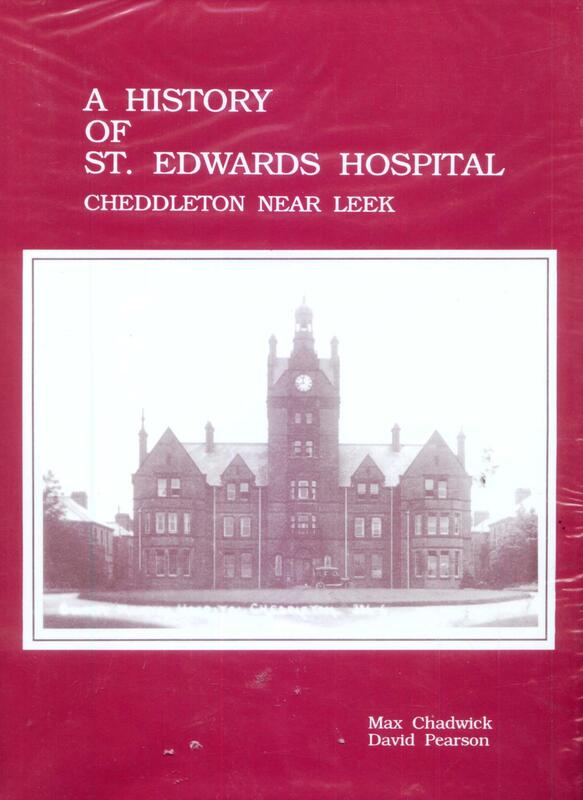 In common with the other former Staffordshire institutions, Cheddleton Mental Hospital was named after a saint, becoming St. Edward’s Hospital, from St. Edward the Confessor, the patron saint of the Cheddleton Parish Church. 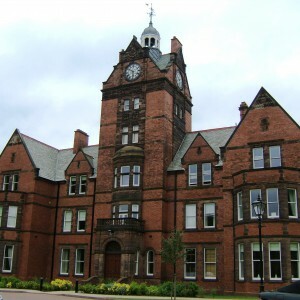 The hospital formed part of the North Staffordshire Hospital Management Committee under the Birmingham Regional Hospitals Board. 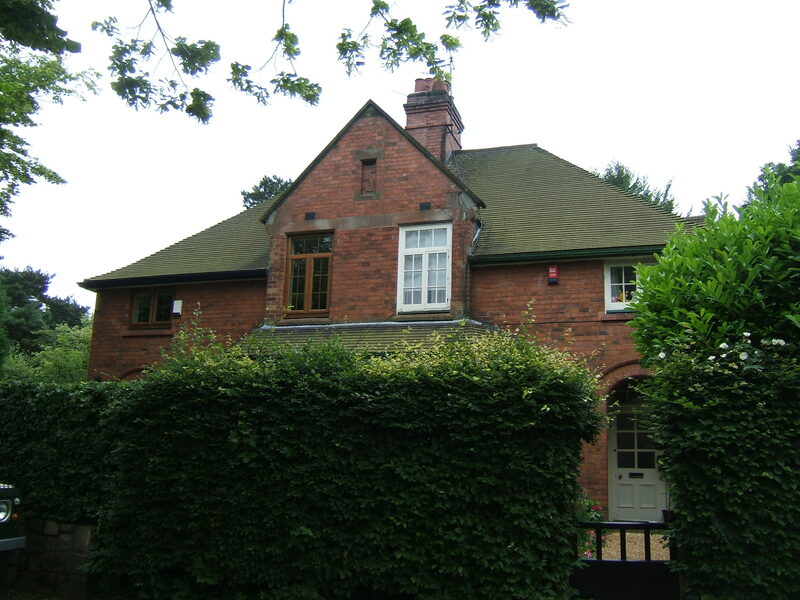 The electric tram service survived for 50 years from March 1904 until it was closed in 1954, with Leekbrook Junction station surviving for another two years. 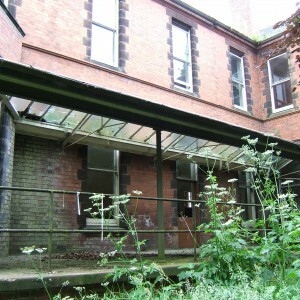 Various improvements were made at the hospital during the 1950’s, 60’s and 70’s in an attempt to banish custodial associations. 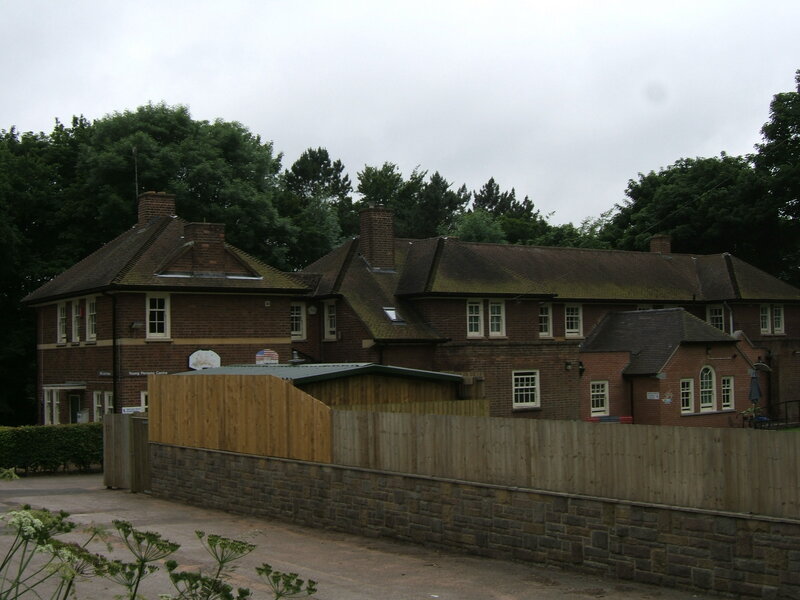 Wards were upgraded, new Industrial Therapy facilities provided and a new patient’s social centre opened. 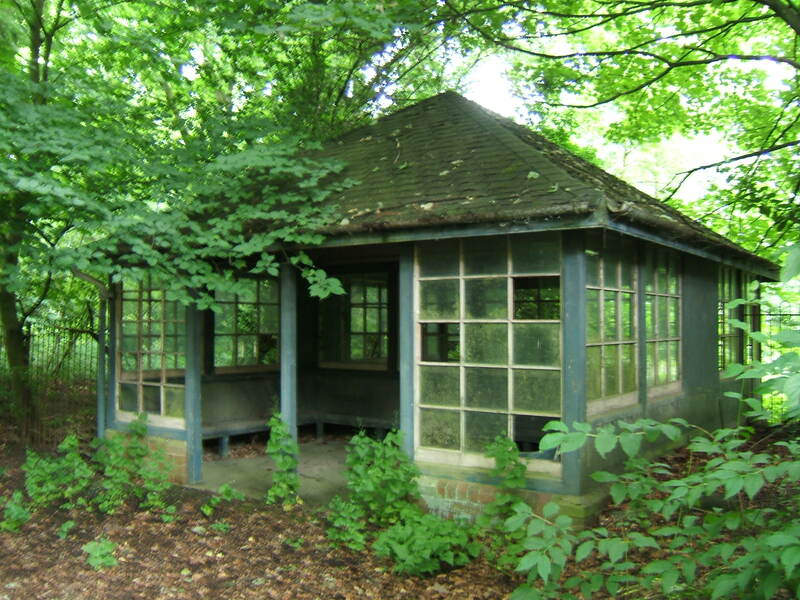 The era of psychotropic drug therapies had begun, however, resulting in a gradual drop in bed occupancy numbers as patients were found to be able to live outside of the hospital on medical regimes. 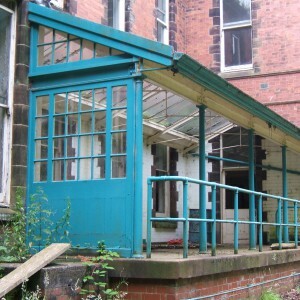 The decline in numbers continued into the 1980’s and 90’s by which time a number of wards had been closed and acute services transferred to units at district general hospitals in some areas. 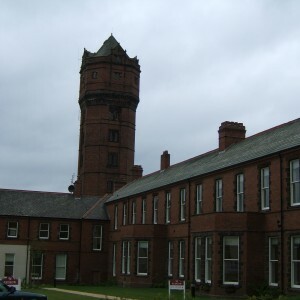 In anticipation of closure, the hospital’s distinctive water tower was listed Grade II by English Heritage in December 1986, followed by the remaining original complex in July 1997. 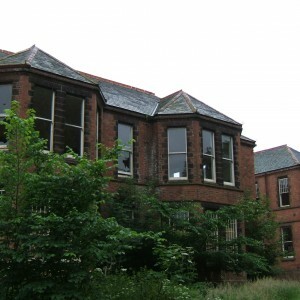 In line with the governments ‘Care in the Community’ policy closure was proposed, removing the majority of the remaining services from the rural hospital site. 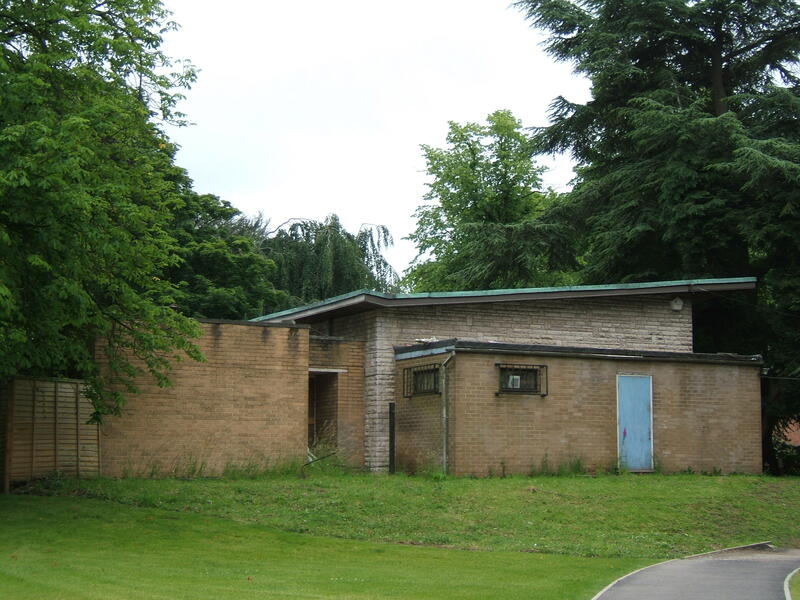 Closure finally came in 2002, one of the later hospitals in the West Midlands area to close having outlasted both its older sister hospitals St. George’s at Stafford and St. Matthew’s, Burntwood by 7 years. 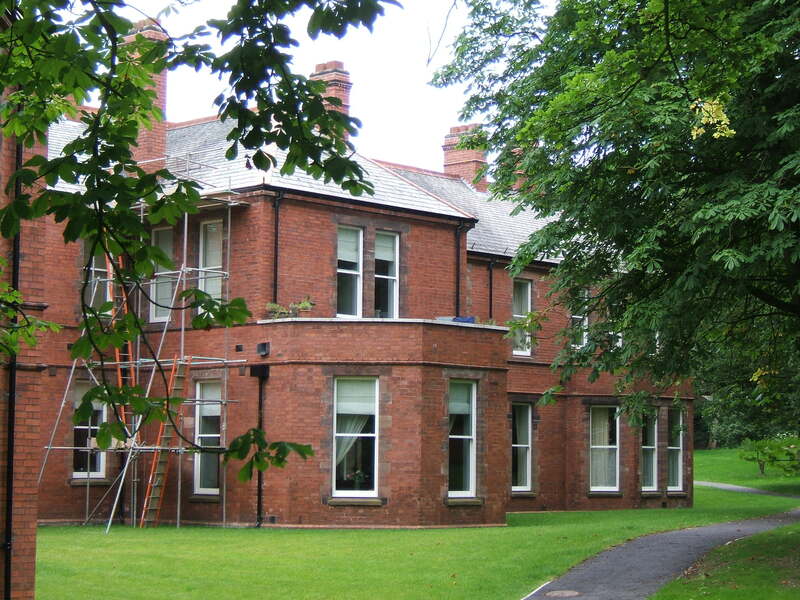 After closure, the site was purchased for housing development with the site of the admission hospital, female convalescent villa and OT pavilions comprehensively redeveloped for a residential complex, which extended onto the drive approaching the main building. 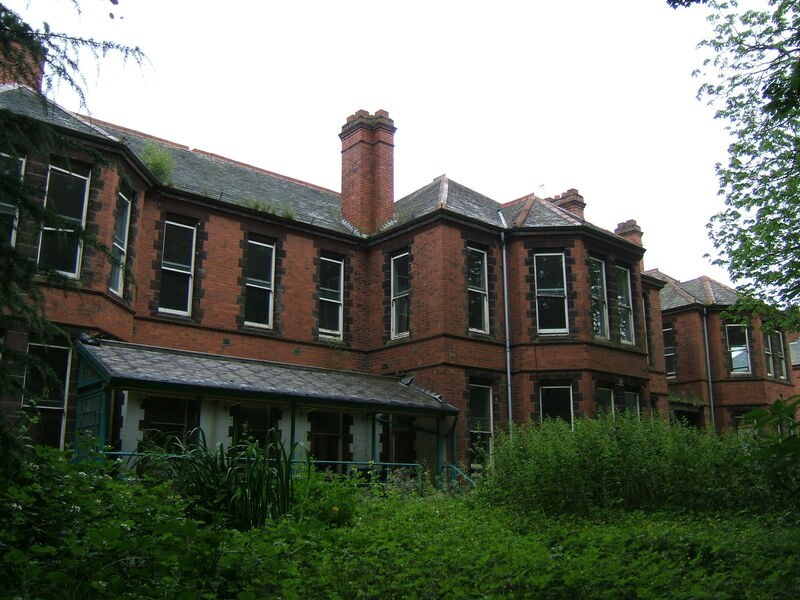 The nurse’s home and later ward blocks were also similarly demolished for housing development, as were many of the main buildings utilitarian areas and recreation hall. 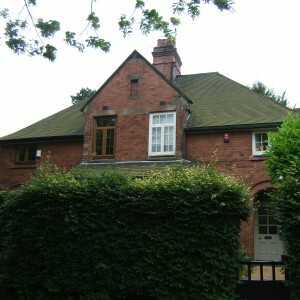 The listed water survives having been converted imaginatively into a private residence. 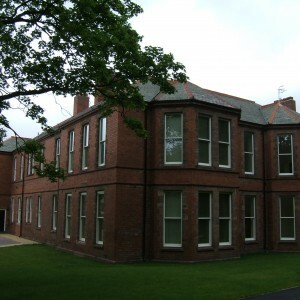 The original wards, Malloy House (formerly the Superintendent’s residence) and the administration block have also been refurbished and subdivided for residential use which has included the retention of a number of the hospitals airing court shelters which had survived up to closure. 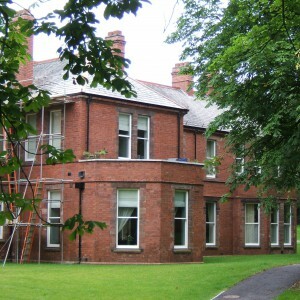 Staff housing survives on Villa Road and Wall Lane Terrace and is now largely in private ownership. 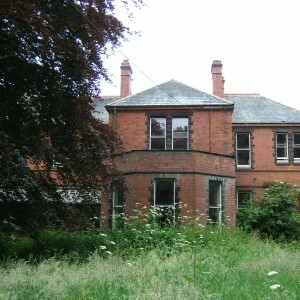 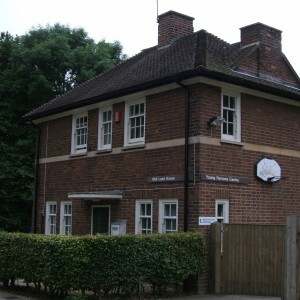 The former Isolation Hospital, Garden Villla has been converted to use as a children’s nursery whilst the nearby male convalescent villa, later Wall Lane House, remained in mental health service use for children and adolescent inpatients until 2010. 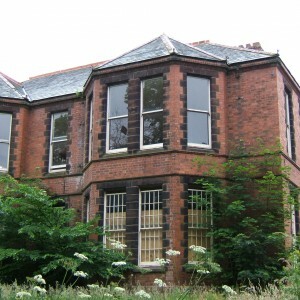 The building was sold in 2012 and has since become Hopedale House children’s home. 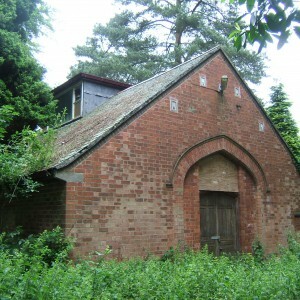 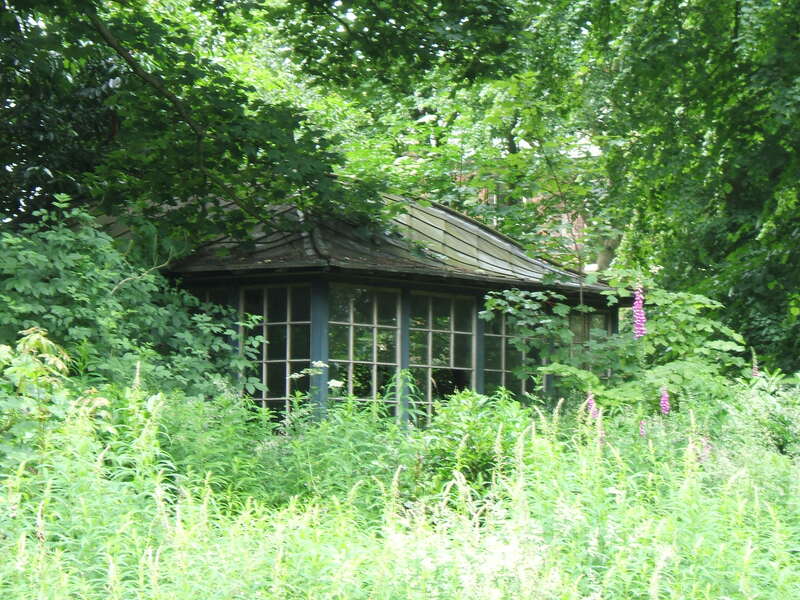 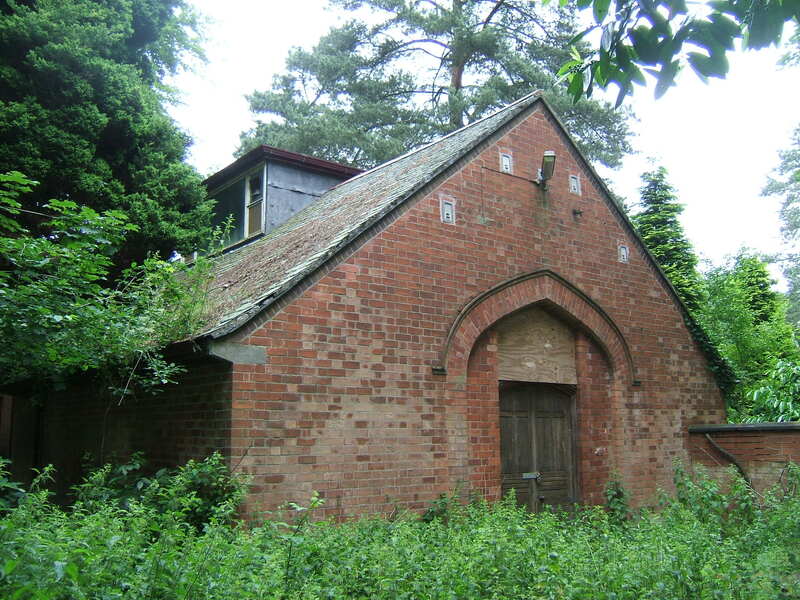 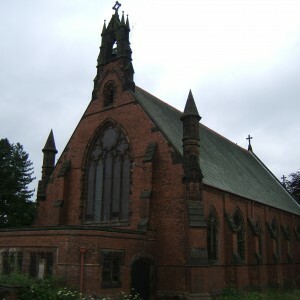 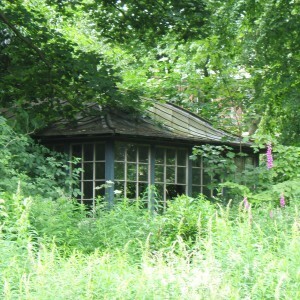 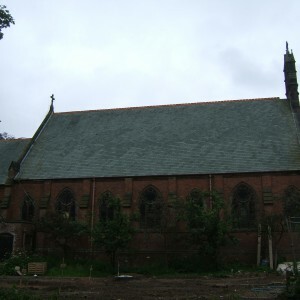 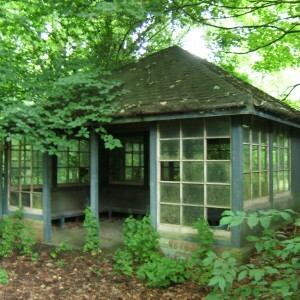 The Chapel and Mortuary remain in a unconverted condition at present awaiting a new use. 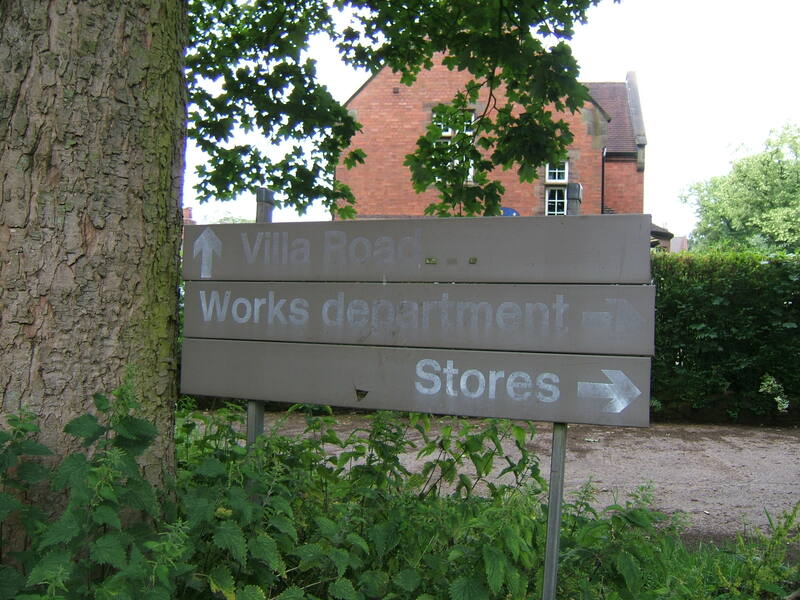 Despite over 60 years of disuse the line of the hospital’s tramway can still be traced outside of the redevelopment although Leekbrook Junction has disappeared. 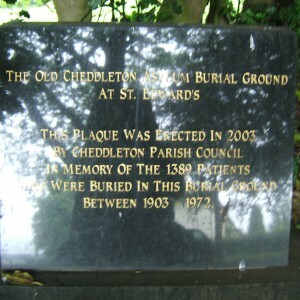 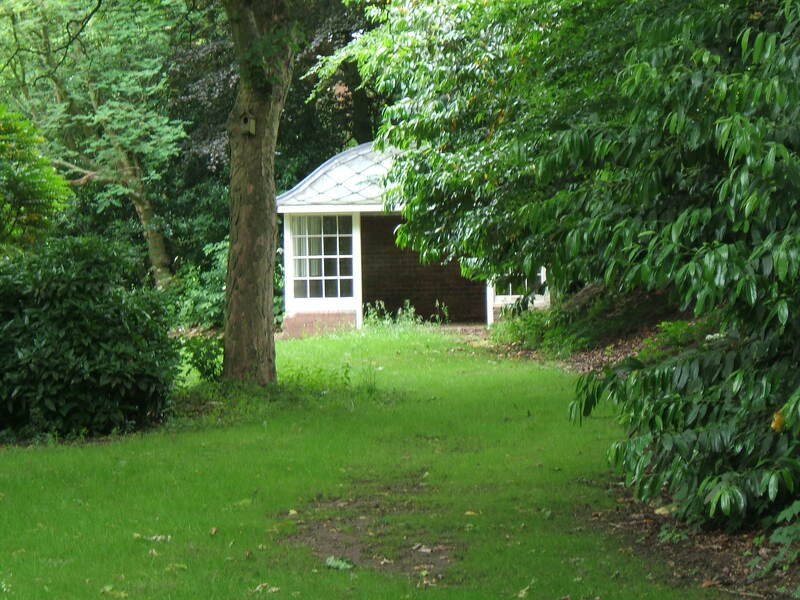 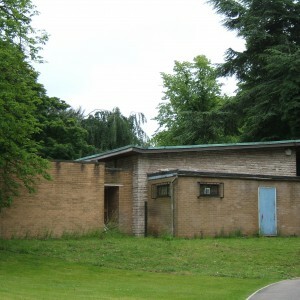 The hospitals burial ground, disused since 1972 is now an accessable, peaceful, managed area of ground and a memorial to those buried there was unveiled in 2003 by the Cheddleton Parish Council.